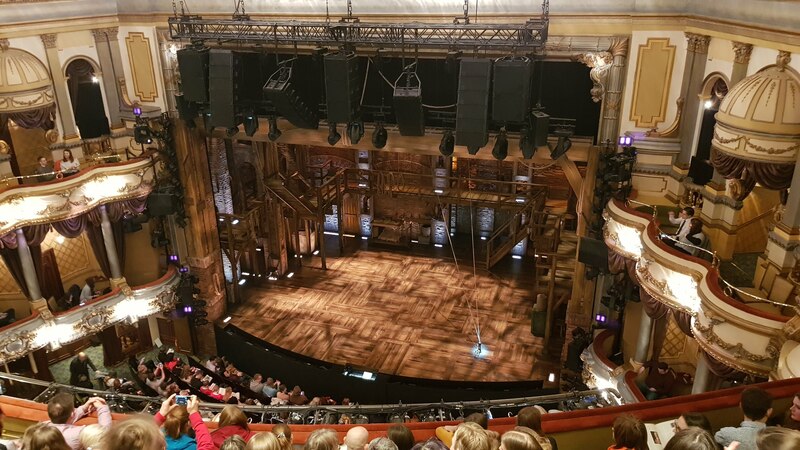 Last November, I surprised my boyfriend with something he had been wishing for for an absolute age, however thought there would be absolutely no chance of getting – tickets for his birthday to see Hamilton in London’s Victoria Palace Theatre. I bought the tickets last June, on the day that they were released for this month (February), and the trip finally came round last weekend, on Saturday 9th February. We got up super early to catch our coach at 8:25AM – which by the way, we paid £4 return (yes, return) each for! 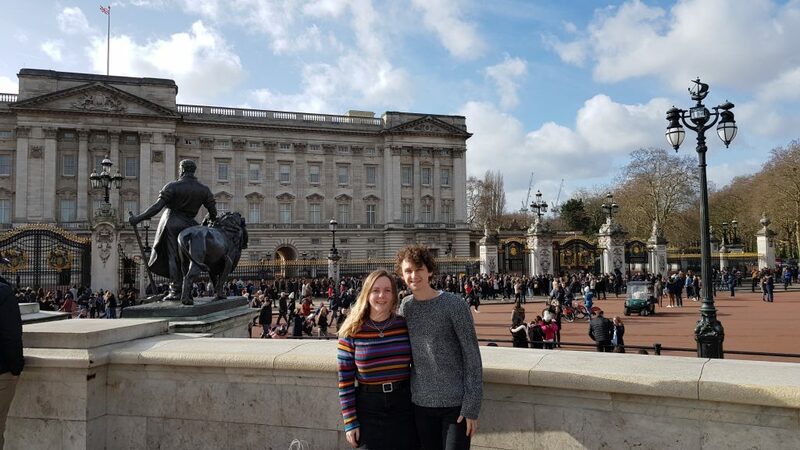 We were in central London by 11AM and so wandered towards Buckingham Palace for some essential tourist piccies. We then walked across the road to Green Park and had our lunch – £3 Sainsbury’s meal deals, another student essential! 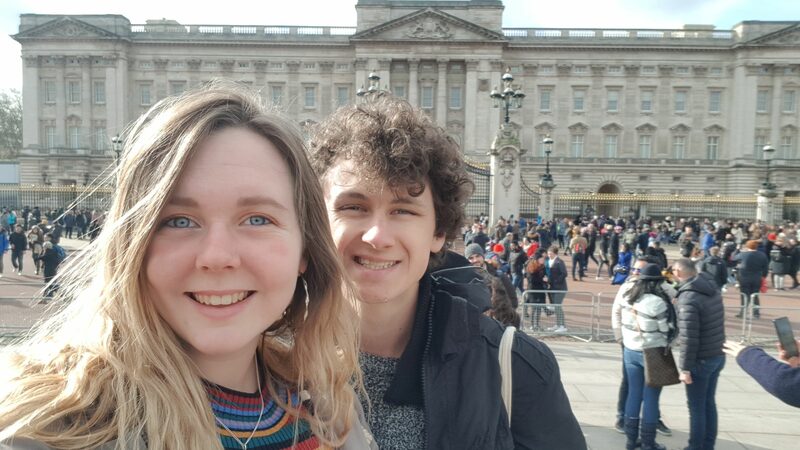 After our lunch, we wondered back towards Victoria in plenty of time to arrive at the theatre, buy our programmes, get to our seats and soak up the atmosphere. We mingled in the foyer and Jowan ended up buying a lot more than just a programme! The view from our seats was excellent – which I was so glad about as I had done a lot of research 8 months prior! 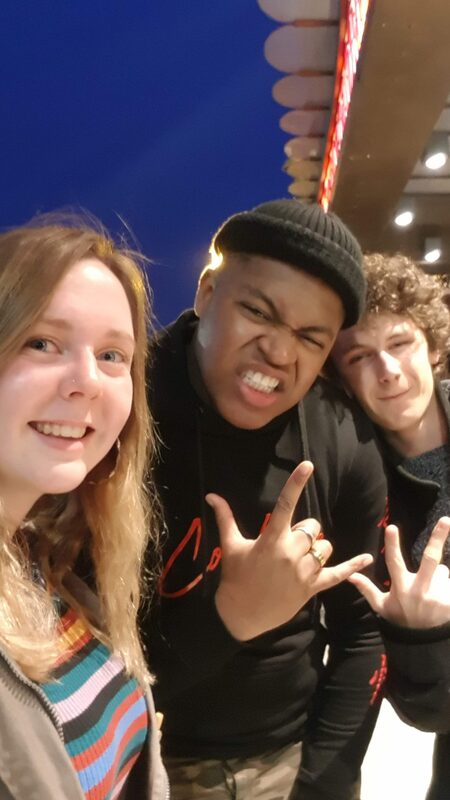 The play itself was absolutely amazing, and that comes from both Jowan, who has obsessed over it for a year and I, who has never really paid too much attention to it. The casting, the stage, the costumes and props were all outstanding and I can’t actually think of any way in which it could have been improved. By the end, the entire audience was sobbing and I had decided that taking Jowan was one of the best decisions I had ever made. 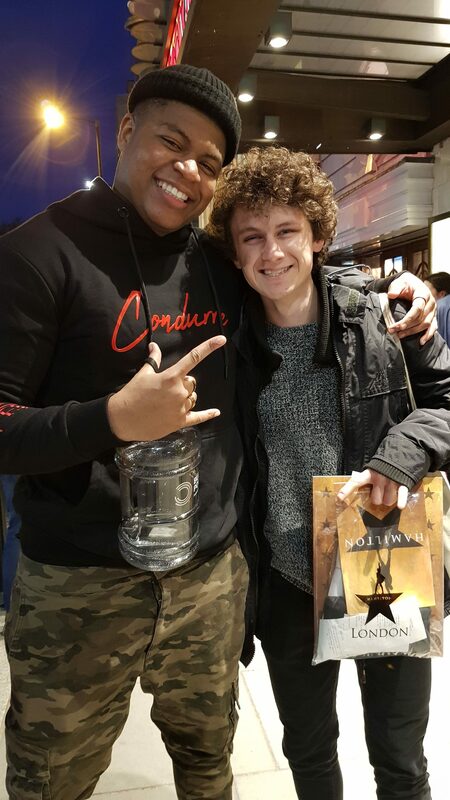 What totally made the night was when we left, and outside we spotted Tarrinn Callendar; the actor who played James Madison and Hercules Mulligan! Jowan was super starstruck bless him but we got some pictures and our programmes signed before dinner. 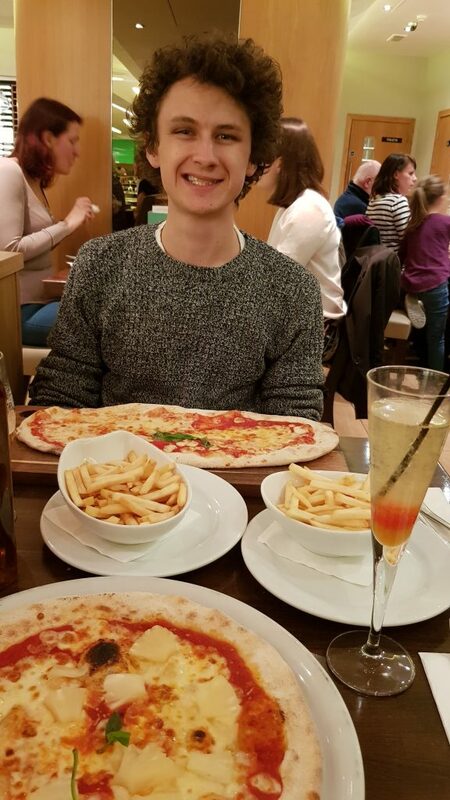 We ended the day with dinner at Prezzo (totally paid for by my family as another birthday present for Jowan, thanks Mum & Dad! ), and it was a hefty one too! 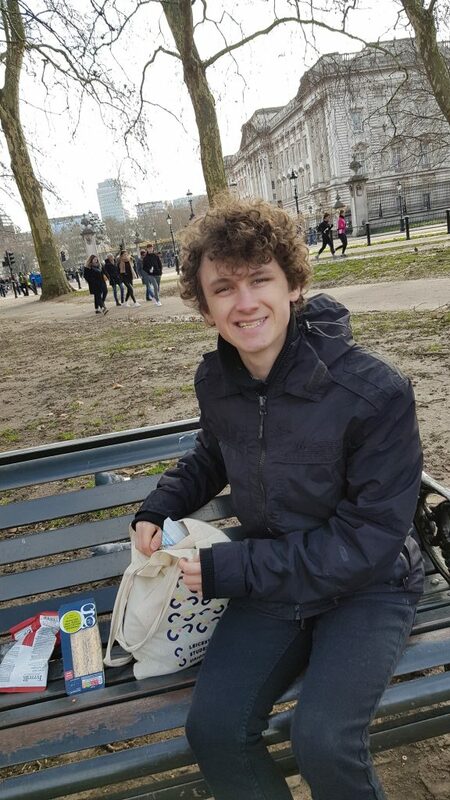 All in all it was a fabulous day, and although this was very personal to me, I hope it shows you how close Leicester is to London and how easy places are to access from here. It took just 2.5hrs on the coach, but takes just 1hr on the train if you have the extra pennies! 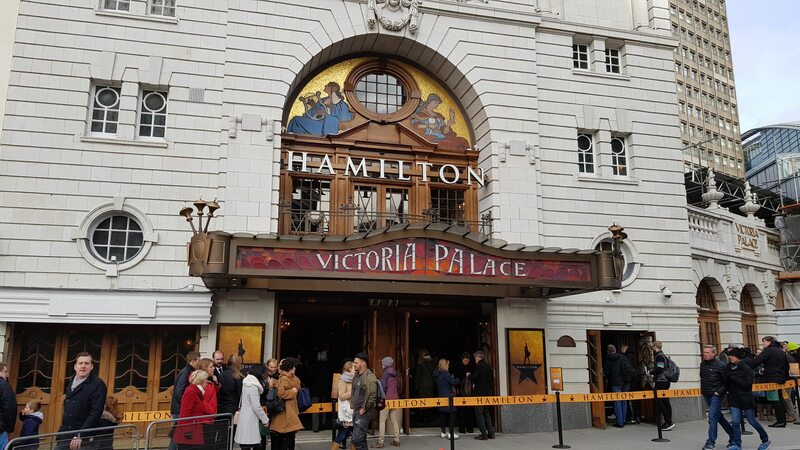 Do let me know if you have seen Hamilton and have any thoughts on it, or any questions about taking excursions to cities outside of Leicestershire!